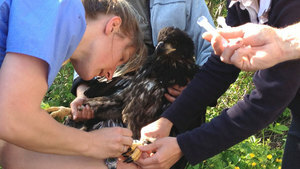 New research in Prince Edward Island is looking to the increased lead levels in the eagles of Atlantic Canada. Lead poisoning is a common occurrence in many wild bird species especially predators and scavengers such as eagles. The primary cause has been found to be ingestion of lead shot from ammunition, or lead fishing tackle when the birds feed on affected carcasses. 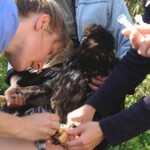 The researchers are collecting blood samples from healthy nestling eagles to compare with the levels that they see in older birds later in the year. Are the rats of Vancouver a human health concern?